Simple yet profitable strategy Smartfx strategy. Time frame only30 min time frame. Indicator:( Relative Strength Index 21 period, close). 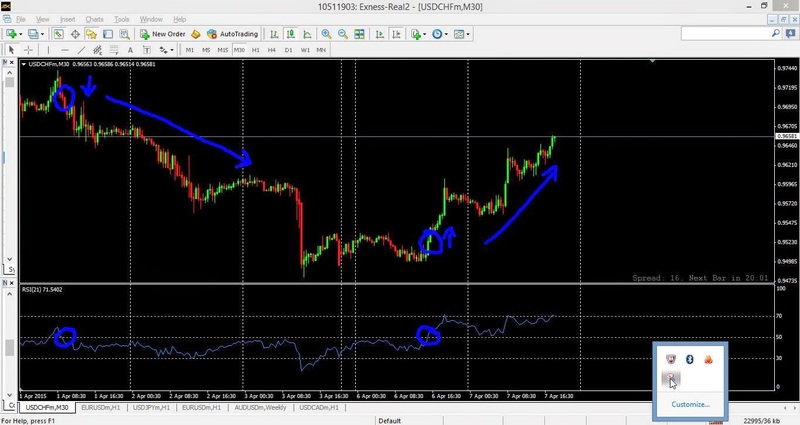 Sell when the RSI crosses below and the candle closed and stop loss above the cross over candle. Disadvantage: This strategy works best in trending in ranging markets lot of false signals.